Fortunately, I’ve been doing this for a while, so I knew some things I could do. I scraped off the gunk on top of the starter and threw it away. I decanted the starter into a bowl and washed my normal container. I fed the starter lots of organic rye flour. I left the starter out at room temperature. As it rose, I fed it again. When the smell had returned to a fresh yeasty scent and the starter had doubled, I put it back into it’s original container in the fridge. I’m going to feed it again today, and maybe tomorrow. Before the end of the week, I’ll be baking a new loaf. Then we’ll be ready for bread, and I’ll have the wonderful feeling of making a thing and that thing working and other people liking the thing and the whole house being infused with the loveliness of the lovely thing. If you haven’t written for a while and you get back to your desk and your computer and you sit down and expect word to come… they might not. Here are some steps to take in the first few days of getting back into writing to help you do so effectively. Clear out any things that stop you getting to the writing starter. For example, managers often have to be super responsive to emails and telephone messages, but researchers don’t. Turn off notifications for emails and telephone messages while you are writing. Dust off your writing implements and see if they are still fit for purpose. Do you really want to be writing in WordPerfect? Would Scrivener or GoogleDocs work better for you? Have you been in the habit of planning your days by hand, on a whiteboard, or in a calendar? Can you use your baby care schedule to plan your writing? Change your place of work. Shifting your brain from caring, or resting, or emailing to writing can be difficult. Take your laptop and sit in a library. Go to Shut Up and Write. Set up a writing Room of One’s Own in your house. This helps you to be in the right container to get writing. Put something into your writing brain first. For the first writing session, read an article that triggers a lot of interesting responses for you. Make your first writing task a review, summary or response to something you have read. Give yourself some time to let the pre-writing get going. Usually I suggest a quick generative writing warm up where you literally just type for 10 minutes about what you want to write about and your feelings and any concerns you might have. This let’s your writing muscles flex without Writing. Or read Robert Boice’s invaluable Professors as Writers, and do some of the writing exercises. Or use the super-beautiful Wonderbook. Don’t forget to add a healthy lunch, or a cup of coffee or a drink of water. Do some stretches, get some blood and oxygen back into your brain. Once you hit your early stage goal, stop. Healthy early stage goals are ‘make a narrative plan for the chapter‘. ‘write a summary of this article and explain how it inspires me’, or ‘write 250 words responding to a writing prompt’. When you reach those goals, stop! You have done a great job. Put it on your done list and give your writing muscles and your brain a break. We’re building back up to this slowly, but the writing is going well! Do the same thing again tomorrow. And the day after. You are building a new habit. If you are doing this regularly, you will soon feel comfortable with getting back into the writing. After a few days of this, actually start writing. You don’t need to stay in this warm up phase for ages. 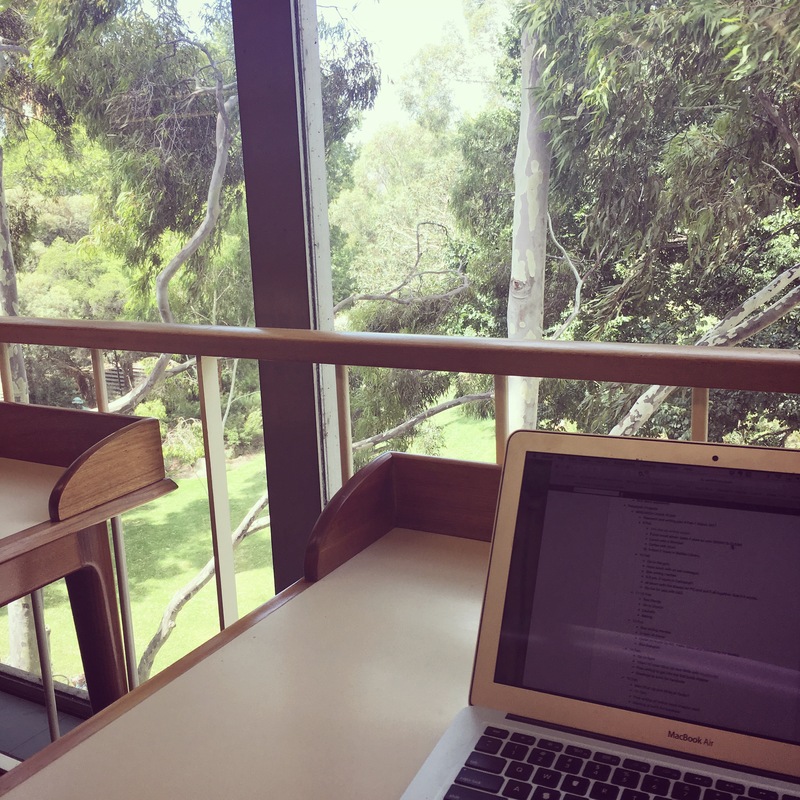 A few days should be plenty for most people to be in a place to ‘write for 25 minutes‘, ‘produce 400 first draft words‘, and actually start or restart their writing project. Always delighted to hear from another baker! Glad you found it helpful! Very helpful post, Katherine, as usual!